Savvy business owners know that strong branding can give their company vital exposure to sell their products and services. 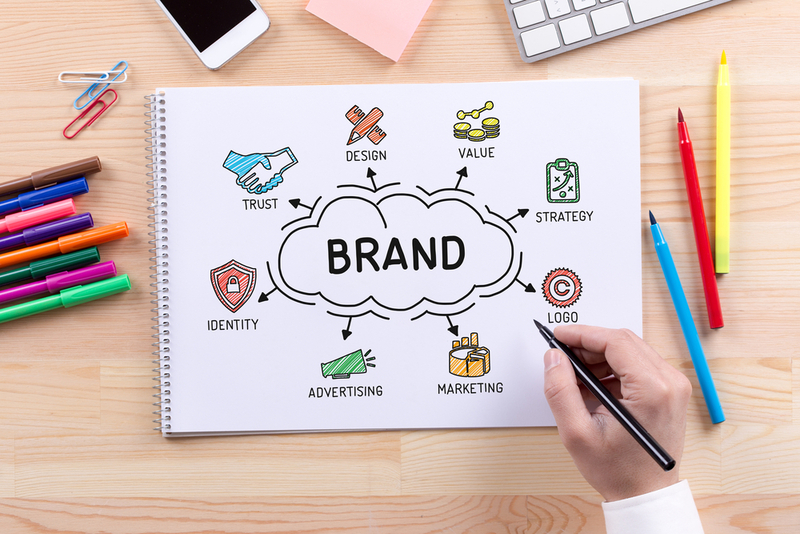 Branding is an effective marketing strategy that can go a long way in establishing your image and position your company above the competition. An experienced commercial printer can help you implement a consistent marketing strategy that will communicate your brand message. In order to create a brand message that sets you apart, you have to understand the attributes of your company that will benefit your customers. Consider what people love about your company. You may offer excellent pricing and outstanding value, a comprehensive product line, and dependable and timely service. Or, you may be innovative, edgy and sophisticated. Once you determine the values and strengths of your business, you can generate a mission statement or brand message. You probably know that a recognizable logo is a significant element in establishing your brand message. Your logo will function as a graphic representation of your business, and it should reflect your company’s qualities. An experienced graphic artist can create an “evergreen,” attention-grabbing logo that will look as fresh years from now as it does today. Consistency is the key to a strong brand message. Your brand is your promise to the consumer, and designing marketing materials with consistent type fonts, color and graphics across a range of sales and marketing collateral can send the message of dependability. Visuals should match you’re the attributes of your business, so a high end woman’s clothing shop may use calligraphy and a soft, neutral color palette, while a store geared toward children may use bright primary colors and large block font styles. For the greatest impact, convey your brand in a variety of media. Content marketing, social media and websites are all effective, and the wide array of print media sources can reinforce your message. Use your proprietary colors, unique logo and tag line on brochures, letterhead stationery, sell sheets, presentation folders, flyers, direct mail sales letters and in print advertisements such as posters and banners. A commercial print shop with an onsite graphics art department can produce collateral material with consistent graphic elements for a consistent brand message. While it may be tempting to send your brand message to just about everyone, a more effective approach is to determine your ideal customer and target your audience. Consider their needs and appeal to your target market by clearly defining how your products and services will benefit them. Direct mail lists that are targeted to demographics such as a particular geographic area, age group or income strata can pinpoint your prospects and to develop a cost-effective direct mail strategy. If you strive to copy your competitors, you risk appearing like a run of the mill “me too” in a crowded marketplace. Don’t be afraid to differentiate your business by emphasizing the qualities that make your products distinct and beneficial. Articulating your brand message can help distinguish your firm from the rest and encourage customers to buy from you.